Maxine Christy 80, beloved wife for 62 years of Norman Christy of Mesa, Arizona passed away Friday, June 15, 2018. Maxine was born September 5, 1937 in Wheeler, Texas to Opal and James Polk. She had two siblings, Lois (Polk) Gossett and Bob Polk. After graduating high school in Dalhart, Texas she married and raised three children. She attended a technical training school to learn secretarial skills and bookkeeping as a young adult. Later in life she returned to school and earned her AA in Technology from New Mexico State University in Las Cruses, New Mexico. Maxine loved to learn. 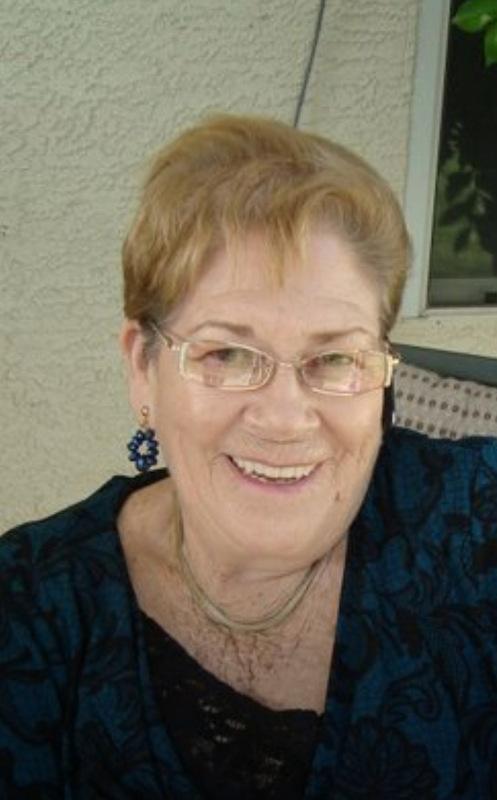 She loved playing games with her friends and family and enjoyed making jewelry. She was also an accomplished seamstress. She sewed and created items from material often without patterns. She loved arts and crafts and painted well. She also loved working on her genealogy. Maxine is survived by her husband Norman Christy, son Jack Christy and his wife Becky, daughter Deborah (Christy) Tinsley, daughter-in-law Lynn Christy, step-son John Johnson and wife Christine. She is also survived by her loving sister, Lois (Polk) Gossett. She was blessed with nine wonderful Grandchildren (Ernest Tinsley III, Christopher Tinsley, Trina (Tinsley) Peterson, Morgan Christy, Norm Christy III, Bonny (Christy) Ford, Kim (Christy) Davalos, Jack P. Christy II, Ashley (Christy) Pitkin and their spouses. She also has 18 Great Grandchildren with two more Great Grandchildren on the way, and many nephews, nieces, and cousins. Maxine is predeceased by her parents Opal and James Polk, her brother Bob Polk, and her son Norman E. Christy II. A grave site service to celebrate her life will be held on Thursday, June 28th, 10am at the National Memorial Cemetery of Arizona. 23029 N. Cave Creek Rd. Phoenix, AZ 85024. So sorry to hear that your mom passed away. Bless you to get through with the arrangements and services. Then move in with your own children and grandchildren. They’re the best therapy! Always thinking about you and your family.